My friend knew that I am a cancer survivor and was referring to the recent March 2018 ruling by a California judge that coffee required a cancer warning, in response to a suit brought against Starbucks and 90 companies. The suit was filed based on the finding that exposure to the chemical, acrylamide, found in coffee has been shown to cause cancer. The plaintiffs offered evidence that the consumption of coffee increases the risk of harm including cancer. The defense team of medical experts testified that they had no opinion of causation of cancer from coffee consumption. The judge therefore ruled that the defense failed to satisfy their burden of proving that coffee is beneficial to human health. So should you believe the judge and refrain from coffee? First, let me tell you about acrylamide. In the year 2002, this chemical was discovered in starchy foods, such as potato chips and French fries that have been heated higher than 120°C. It was not found in food that had been boiled or in foods that were not heated. Almost immediately, in 2002, the Food and Agriculture Organization of the United Nations and the World Health Organization raised concerns over the cancer potential of acrylamide ingestion, based on studies with laboratory animals where exposure to acrylamide caused tumors of the adrenal glands, thyroid, lungs and testes. In 2010, the European Chemical Agency added acrylamide to the list of substances of very high concern. In the body, acrylamide can be converted to a metabolite that causes damage to genes. For example, cigarette smoke increases blood acrylamide levels three-fold and could contribute to cancer. Occupational skin exposure has been shown to produce skin cancer. However, according to the American Cancer Society, as of 2016, it is not clear whether acrylamide consumption increased people’s risk of developing cancer. In the same year, the International Agency for Research on Cancer, after reviewing more than 1,000 human and animal studies, stated that it “found no conclusive evidence for a carcinogenic effect of drinking coffee.” And, again in 2016, the cancer agency of the World Health Organization moved coffee off its “possible carcinogen” list. In 2017, European Journal of Cancer Prevention, after reviewing available evidence on coffee drinking, reported that the overall evidence suggested no association of coffee intake with cancers of the stomach, pancreas, lung, breast ovary, and prostate overall. In fact, drinking 1 cup of coffee per day was associated with reduced risk of liver cancer. 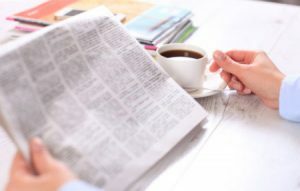 In January 2018, The National Cancer Institute-IRCCS, Italy concluded, after reviewing a total of 21 prospective studies, consumption of four cups of coffee per day was associated with 10% reduction in post-menopausal cancer risk. So, what is a carcinogen and how does it cause cancer? A carcinogen is any agent that can cause mutation of genes inside a cell, giving the cell the potential to multiply uncontrollably. As you can imagine humans are exposed to many known, as well as unknown carcinogens, almost daily. Given this, how does the body prevent cancer from developing in almost every person? Every cell has a mechanism to repair gene mutations before they give the cell unlimited multiplication capability. Even if that does not work, every cell also has a gene that can initiate a self-destruct process to kill that cell if it is not functioning properly. In addition, the body has an army of white cells, called killer cells, that can hunt down and destroy cancer cells. So should you worry about acrylamide in coffee? There is no question that it qualifies as a potential carcinogen, based on animal studies. It seems evident that one should avoid exposure to acrylamide in breathing and through the skin as much as possible. On the other hand, the nature of your exposure to acrylamide ingested with food is through a route different from that of the lungs or skin. Might this make a difference in its cancer-causing effects when it comes to drinking coffee? I suggest so. An ingested carcinogen such as acrylamide is usually detoxified in the liver. Even more important to consider, in my opinion, is that acrylamide is vulnerable to decompose when exposed to hydrochloric acid in the stomach, released as part of gastric secretions. This means that it likely does not ever make it into the body in its intact chemical form, having been modified in the stomach and further detoxified in the liver, to cause cancer. So, unless your stomach is not producing enough hydrochloric acid, enjoy your coffee because once the acrylamide is neutralized, what is left is the good stuff such as magnesium, B vitamins, niacin and riboflavin. This is why I drink at least one cup of coffee every day. 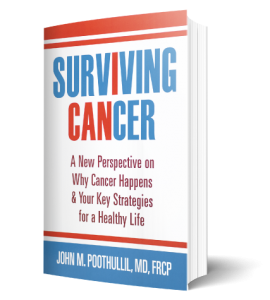 This book will be an invaluable resource for anyone who has already been diagnosed with cancer localized to a single site of origin and not yet colonized in another part of the body. It is also for anyone who believes they are at risk of cancer due to heredity, lifestyle, working conditions, stress levels, or for any other reason. And finally, this book is especially important for anyone with Type 2 diabetes, a population that is twice as likely to develop certain types of cancer compared to individuals who do not have diabetes. Why is the Incidence of Cancer in Adults and Children Rising Worldwide? Do You Need to Supplement with Dietary Fiber?